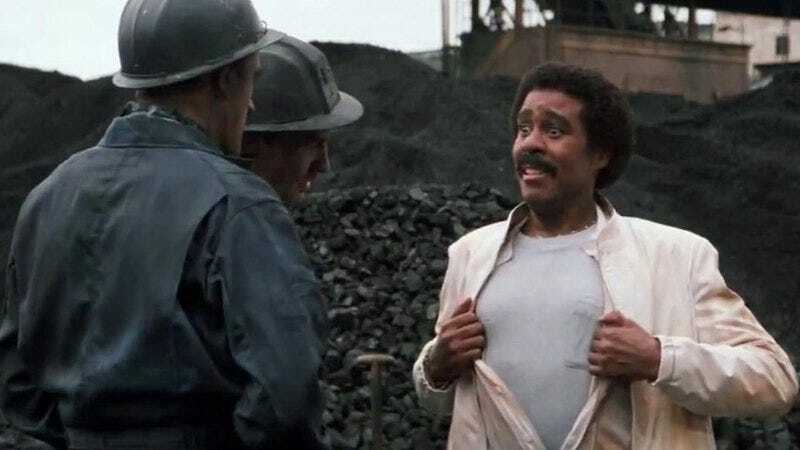 The Peoria Journal Star reports that a statue commemorating the life and work of late comedian Richard Pryor was unveiled this past Sunday, in his hometown of Peoria, IL. The unveiling was nine years in the making, as sculptor Preston Jackson struggled to have the project approved and funded. One of the most influential and well-known comedians of the 20th century, Pryor’s public persona was marred by his struggles with drug addiction and his abusive relationships with women. (But unlike some other comedians we could name, Pryor acknowledged his failings head-on by addressing them in his stand-up.) Because of these issues, Jackson understands the resistance to the project. “I don’t like that even today,” he says, referencing Pryor’s history of domestic violence. To help change public attitudes, a committee was formed that pitched the commemoration as an acknowledgement of Pryor’s talents and flaws, rather than just a celebration of a famous comic. Ultimately, the citizens of Peoria warmed to the idea, and the project was approved by the city council. But the years spent building support for the statue—and the statue itself—incurred considerable time and money. That’s when comedian George Lopez came to Jackson’s aid, holding a charity benefit last November to help reimburse Jackson and the statue committee. The event raised $130,000, ensuring the sculpture could be completed.